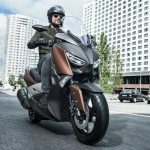 In 11 years of history of the Yamaha X – Max 250 has sold a massive 130,000 units, a legacy that is now receiving the Yamaha X – Max 300 2017. 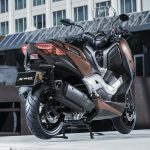 The new representative of the family X – Max updates its engine to catch up with its rivals in power, and receive the current design of Yamaha Tmax DNA and present themselves more advanced maxiscooters sports improvements. 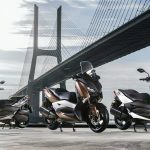 It is presented to the 2016 EICMA in Milan 8-13 November and will be available in March next as a premium option in the segment of 300 cc scooters a year. With this model Yamaha wanted to print all the sportsmanship that characterizes its X – Max range with the functionality of the larger scooters. 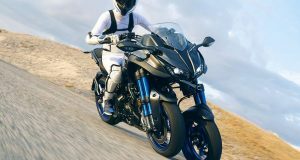 So Core blue cylinder 4 engine time 292 cc and returns 28 horses at 7250 rpm and 29 Nm of torque at 5750 rounds to move its 179 kilos of weight in working order. 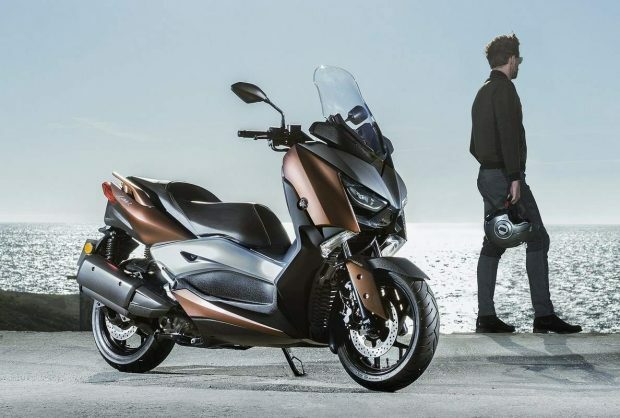 This with a more smooth running and energy consumption less than the X – Max 250, for something to meet Euro 4. At the same time has a double optic with LED headlights, a height adjustable windshield, 12 v to charge mobile devices, the full analog-digital instrumentation with LCD screen, start without key or space under the seat for two helmets complete objects and more. It is one of the best equipped in this regard. 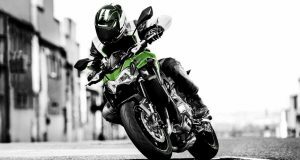 The chassis has also increased, in particular by including as a new work of traction control by reducing the speed of the rear wheel when it skids on slippery surfaces. 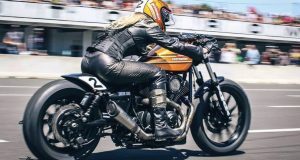 This section is completed by its front wheel 15-inch (the back is 14), own fork of a motorcycle or 267 mm and 245 mm with ABS as standard disc brakes. Certainly a maxiscooter for A2 license with a commanding presence and at the edge of the segment in the equipment and the aggressive proposal.